When I started working in glass six years ago, playing with coloured glass and the effects of light on it became an inspiration and compulsion for me. My glasswork is varied, from the magical world of my glass book and its related curiosities, to glass bowls and panels, using printing, hand-painting and etching techniques. 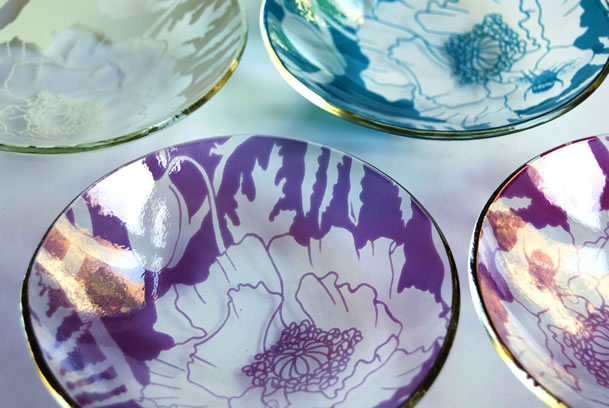 Bowls and panels are designed from original drawings and decorated to create unique, individual pieces for every occasion.